I never stayed in such a good hostel for such an acessible price! The hostel is very ecollogic, clean, and every meter is well used, plus the staff is very friendly and helpfull. Totally recomend it! And it is located very close to the bus station. The hostel is really new and clean, the spaces are great even if you are only staying at the dorm. Loved it! Probably the best hostel I stayed! The reception is perfect, they simply do everything for you. 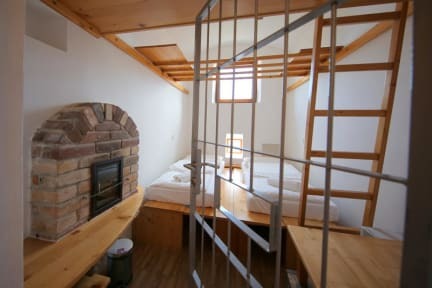 The rooms are really good and clean, good wifi connection everywhere in the hostel and also good bathrooms. The hostel is 5 minutes walking from the city center and close to pubs and restaurants. Its also a good hostel to meet really nice people and make friends. Staying there really makes your experience in Ljubljana way better! Mais parecido com um hotel, ideal para grupos e familia. Localizado perto do centrinho, numa area moderninha da cidade. Quartos limpos, mas pequenos. 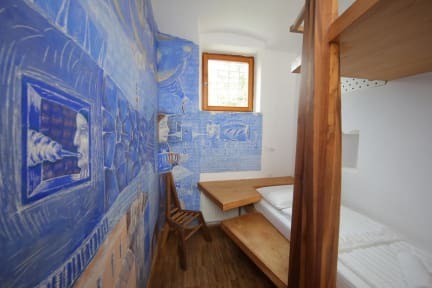 O Hostel é muito bonito e localizado dentro da cidade-museu de arte Metelkova Mesto. Bom para quem quer aproveitar a vida noturna da cidade de terça-feira a sábado. Domingo e segunda ñ há muita coisa dentro da Metelkova. Pode ter ruídos a noite para os interessados em dormir apenas. Perfeito para interessados em arte, grafitti e nightlife. Acho que o hostel poderia ter uma área comum dos hóspedes um pouco maior e mais interativa. I communicate my immense dissatisfaction with the services of the hostel Celina. I made a reservation for a quadruple room for me and my family with the check out at 11:00. I reported my delay in check-in time (even before I book the room), which I was told would be no problem, as my check-in could be done at any time because the reception is 24hrs. However, arriving there, the attendant said that because of the delay, he had already delivered it to another guest. This almost destroyed my trip.